Peace and goodwill to all of men,  and love for the child. By the light of that ship in the sky, which shone all around. This song will begin once again, to a baby's cry. Peace and goodwill to all of men, and love for the child. 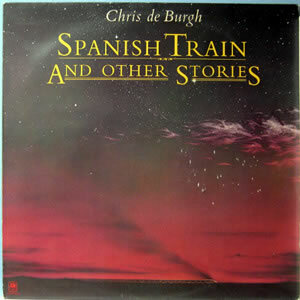 A Spaceman Came Travelling is a song by Chris de Burgh released on the album Spanish Train and Other Stories in 1975. It became a popular Christmas song in the UK, and has been released numerous times as a single, first in 1976, then 1981, 1984 and 1986. The re-release in 1976 reached #1 in Ireland, its reissue making #15 in that country in 1986. The 1986 release, which was a double A-side with the song "The Ballroom of Romance", reached #40 on the UK singles chart. It was also released as a single in the Netherlands in 1985. It has appeared on many festive compilation albums.